Lola decides to play spies with her imaginary friend. Charlie is fed up with the mess in his and Lola's bedroom. Charlie wows Lola with his tricks when he is given a new magic set. Lola is determined to make Charlie's birthday party the best ever. Charlie and Lola become incredibly bored in the dentist's waiting room. Lola decides to start a collection. But a collection of what? Lotta makes a new friend and Lola starts to feel left out. Lola is convinced that she's the luckiest little girl in the whole world. Lola is insistent that her favourite shoes are irreplaceable. When Mum gives Lola a seed she can't wait to find out what it will grow into. Charlie breaks his arm, jeopardising his and Lola's circus act. Disaster strikes when Lola loses Lotta's fluffy white coat. Charlie and Lola start squabbling. Can they learn to get along again? Lola decides to enter the egg and spoon race at the school sports day. Charlie is frustrated that Lola keeps getting distracted from her chores. Lola is appointed to look after the school guinea pig over the holidays. Lola starts to worry that she might get lost on a school trip. Lola invents her own country and her very own language. 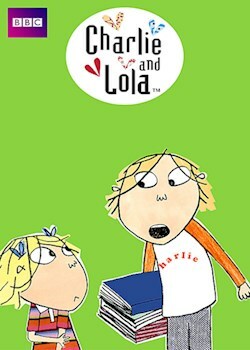 Charlie and Lola take a trip to the zoo. Charlie tries to help Lola get over her fear of the dark. When Lola meets Marv's shy little brother, she tires to bring him out of his shell. Lotta loses her ability to draw. Charlie and Lola's pet mouse passes away. Lola tries to avoid doing any unlucky things. Charlie helps Lola learn to read.